MIMS regularly conducts research into the delivery of education and clinical information in the primary care sector. We’ve packaged up the findings from some of our most recent surveys, available to download for free. 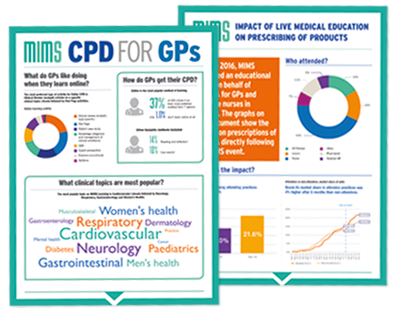 In June 2016, MIMS delivered an educational event on behalf of Brand A for GPs and practice nurses in London. This report shows the impact on prescriptions of Brand A directly following the MIMS event.